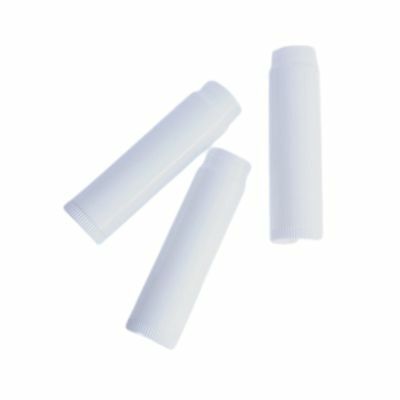 .15 oz round lip balm tubes with a twist-up (propel/repel) base. Average filling temperature is approx 120F. Filling with a solution that is too hot can warp the plastic & damage the mechanisms. Containers are not water tight , so pouring too hot can also cause leaking (until the formulation solidifies).